ST. CHARLES, MO, August 27, 2014 – Among the difficulties faced by law enforcement following the shooting death of Michael Brown in Ferguson has been a lack of man and woman power focusing attention in other metro-area jurisdictions. According to public records from nearly 50 St. Louis metropolitan municipal and county courts, the past two weeks have seen a roughly 50 percent reduction in the amount of traffic and criminal citations written throughout the St Louis metropolitan area. Following the shooting of unarmed teenager Michael Brown in Ferguson, Missouri, and the subsequent protests, riots and looting; police have been on edge and very busy. Officers throughout the metro area have been called to Ferguson in order to assist with policing efforts. Michael Carter, attorney and owner of Carter Law Offices based in St. Charles Missouri, said he had to cancel scheduled depositions during the Ferguson ongoings because officers were unable to pull off Ferguson duty. "We had absolutely no problem rescheduling depositions for future dates given what these police officers were attending to; but, I do remember wondering just how many officers were being pulled out of their home jurisdictions. So, we gathered the only data we could -- the number of written citations," said Carter. 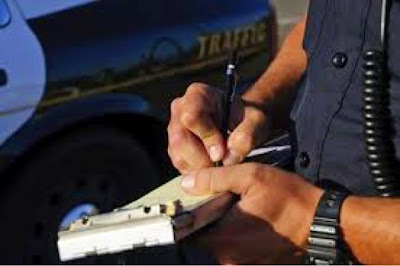 Speeding tickets were not the only citations that were down dramatically. Public records show fewer minor in possession tickets (MIP), DWIs, DUIs, assaults, driving while suspended, driving while revoked, and drug possession tickets. Carter said that he'd "like to think that these types of crimes simply went down across the region. I guess it's possible that since most all of St. Louis has been riveted to their TVs, people just haven't been out and about causing trouble, but it's doubtful." Carter's law firm has a criminal law subsidiary by the name of Traffic Law Counselors ran primarily through the websites 45BUCKS.com (indicating a starting price point for tickets) and DidYouBlow.com (referencing one aspect of a DWI arrest). 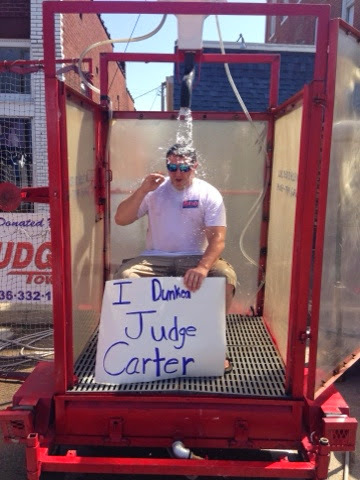 “Our traffic law subsidiary handles thousands of cases each year and on a typical weekday our phone rings about every three minutes for some type of traffic or criminal question or citation” Carter added. “But since the Ferguson unrest, we are only getting calls about every 10-15 minutes or so." 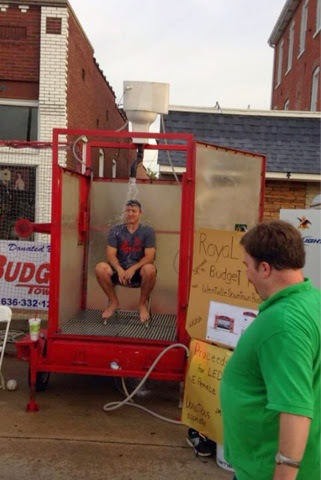 There has been much concern for the loss of business revenue closer to the Ferguson area. St. Louis County's government has just announced the allocation of millions of dollars to assist some struggling businesses near and in Ferguson. However, Carter says his firm is doing just fine despite the down tick in traffic tickets. "By the way," says Carter, "It's commonly understood in criminal justice academic circles that it's good to have many policing jurisdictions throughout a metropolitan area because communities want to and should be familiar with their local law enforcement personnel. Being familiar with and knowing your local police officers is the starting point of gaining and maintaining confidence in law enforcement. " Nixon Ferguson Missouri Press Conference Out of Control; Where Is President Obama? Governor Jay Nixon looked visibly angry throughout a late-afternoon press conference held in Ferguson Missouri today wherein the governor announced a 12 a.m. to 5 a.m. curfew. Those in attendance were firing off questions in rapid succession and not allowing the governor time to reply. someone else chimed, "why can't these officers be in front of all these businesses . . . instead of putting a curfew on these people?" The atmosphere was as chaotic as the late-night riots that have been emblazoned across America's television sets the past several days. It seems that there is no one -- not a governor, a congressmen, a police captain, or an FBI agent that has any real idea how to deal with the massive racial under and overtones that permeate the collective Ferguson consciousness. Is President Obama -- who was inarguably elected in part because of his perceived place in American History as a racial unifier -- the only person who has any hope of taking a terrible situation and turning it into something possibly positive as opposed to what currently has the very scary echoes of George Wallace at the school house in 1963? It seems clear that only the current President of the United States who had a black father and white mother can come to this small town in Missouri and try to restore order within a city population that is nearly half black and half white. What better stage could our extremely symbolic president have to show that the United States truly is ready for cross-racial unity and acceptance of a more and more diverse population, THAN the the Ferguson Missouri backdrop that appears to be a microcosm reflecting America's often-ignored great racial divide? This past week in Ferguson, America has seen primarily white police forces and white executive office holders try to deal with a primarily black population of protesters that are upset by the killing of a black Michael Brown by suspected-white police officer Darren Wilson. Even the white politicians noticed this and so they recently brought in a black highway patrolman who hails from the Ferguson area to try a new approach to crowd control. However, black Ferguson protesters have apparently seen this for what it is -- a ploy by white people in power to pacify a black population that clearly thinks that whites in power treat blacks as if blacks somehow have less rights than whites. Clearly no one has discovered it, but amidst all of the Ferguson chaos there lurks an opportunity for SOMEONE to bring reasonable citizens of America together in a much needed way. St. Charles County Councilman Cronin found himself without any support from his fellow Councilmen when he attempted to effectively derail the impact of a county-wide referendum on banning Red-Light Cameras. Cronin had attempted to alter the ballot measure to say it would only cover the unincorporated areas of St. Charles County, rather than the cities which Red-Light Camera opponents had intended. "The unincorporated areas of the county don't have any Red-Light Cameras, so this attempt at an end-run around the intent of the ballot measure would have been an insult to voters," said Red-Light camera opponent Attorney Michael Carter. 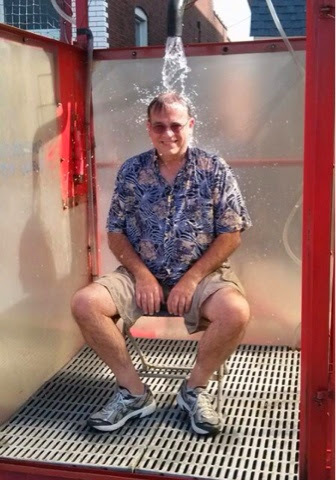 "County Councilman Joe Brazil who sponsored the original ballot measure, and his fellow County Councilmen are to be commended for standing firm in their commitment to let the voters decide." 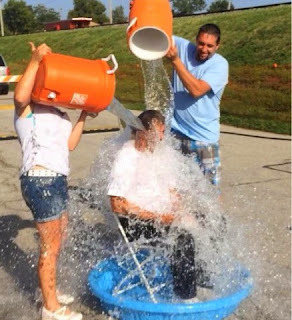 Councilman Cronin contends that the measure will result in lengthy litigation between the County and the City of St. Peters, which has threatened to sue the County if the measure passes. Carter says St. Peters may be less enthusiastic about going against the will of the people since city residents will be voting as well. "This is not a fight between people who live in cities and those who don't. City residents in St. Peters have never been given a chance to vote and express their popular will on the subject of Red-Light Cameras. If they agree that this is nothing but a money grab by elected officials and, as St. Peters' own Police statistics showed, causes more accidents not less, St. Peters residents may send their own officials a message in November," Carter explained. 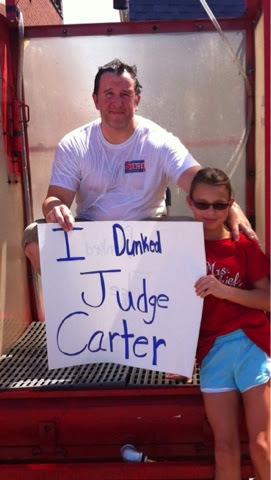 Carter has sent out updates to tens of thousands of St. Charles County residents on the issue and says he will be working hard to educate voters prior to the November 4th election. "I'm hoping to organize a forum and issue a challenge to the Mayor of St. Peters to debate the issue before the press and public. 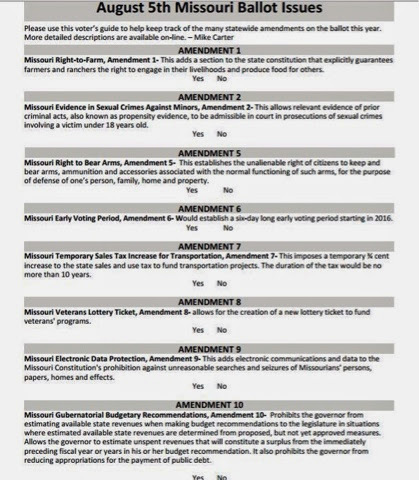 This is the first ballot test of Red-Light Cameras in Missouri. 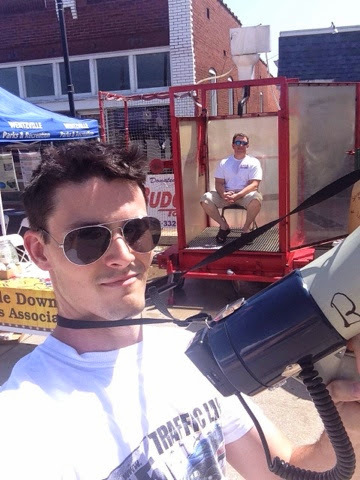 If voters support the county-wide ban it will send a powerful message to our elected Representatives and Senators that a statewide ban is needed," explained Carter. 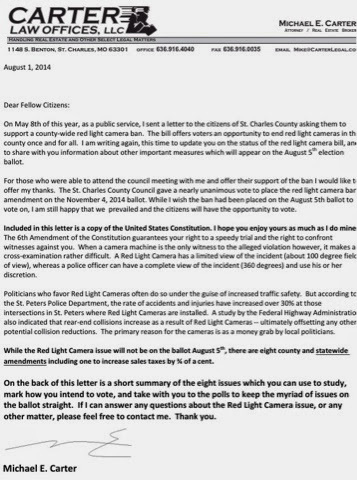 On May 8th of this year, as a public service, I sent a letter to the citizens of St. Charles County asking them to support a county-wide red light camera ban. The bill offers voters an opportunity to end red light cameras in the county once and for all. I am writing again, this time to update you on the status of the red light camera bill, and to share with you information about other important measures which will appear on the August 5th election ballot. For those who were able to attend the council meeting and offer their support of the ban I would like to offer my thanks. 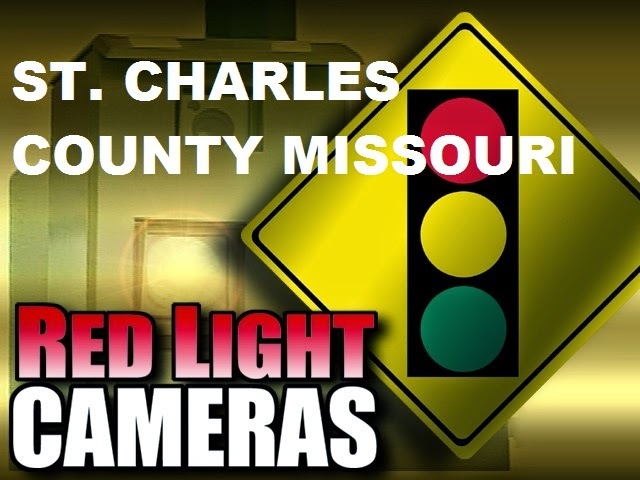 The St. Charles County Council gave a nearly unanimous vote to place the red light camera ban amendment on the November 4, 2014 ballot. While I wish the ban had been placed on the August 5th ballot to vote on, I am still happy that we prevailed and the citizens will have the opportunity to vote. Included in this letter is a copy of the United States Constitution. 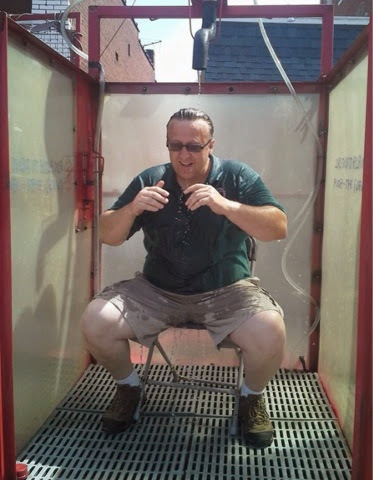 I hope you enjoy yours as much as I do mine.The 6th Amendment of the Constitution guarantees your right to a speedy trial and the right to confront witnesses against you. When a camera machine is the only witness to the alleged violation however, it makes a cross-examination rather difficult. A Red Light Camera has a limited view of the incident (about 100 degree field of view), whereas a police officer can have a complete view of the incident (360 degrees) and use his or her discretion. Politicians who favor Red Light Cameras often do so under the guise of increased traffic safety. But according to the St. Peters Police Department, the rate of accidents and injuries have increased over 30% at those intersections in St. Peters where Red Light Cameras are installed. A study by the Federal Highway Administration also indicated that rear-end collisions increase as a result of Red Light Cameras -- ultimately offsetting any other potential collision reductions. The primary reason for the cameras is as a money grab by local politicians. While the Red Light Camera issue will not be on the ballot August 5th, there are eight county and statewide amendmentsincluding one to increase sales taxes by ¾ of a cent. I have enclosed a short summary of the eight issues which you can use to study, mark how you intend to vote, and take with you to the polls to keep the myriad of issues on the ballot straight. If I can answer any questions about the Red Light Camera issue, or any other matter, please feel free to contact me. Thank you.